What’s better than a juicy summer peach? How about personal peach pies topped with a ridiculously decadent scoop of ice cream? It’s the perfect end to a summer dinner, and the pies could serve as breakfast the next day. Just don’t tell anyone I said that. The recipe for the mini peach pies is from the book The Sweeter Side of Amy's Bread, from the folks who run the famous New York bakery, Amy’s Bread. 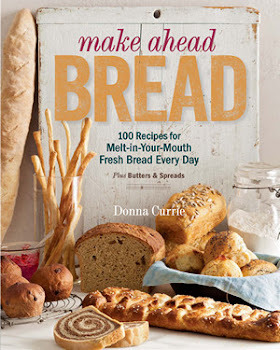 An earlier book focused on bread recipes; this one is about the sweets. I've never been to the bakery, but the book has produced a number of winners in my kitchen. The recipes include both volume and weight (grams and ounces) measurements, but I’ll go with volume here, for the scale-less cooks. The ice cream recipe is from an interesting cookbook called Fat, with the subtitle “An appreciation of a misunderstood ingredient, with recipes.” Yes, it’s a cookbook, but it also discusses the pros and cons and histories of the various types of fat. I've made a number of variations of the brown butter ice cream, and every one of them has been a winner. Freeze the diced butter for at least 15 minutes. In a large bowl, whisk together flour, sugar, sugar and salt. Add diced butter to the mixture and toss to coat. Add shortening and toss briefly. With a pastry blender or two knives, cut butter and shortening into the flour until the fat is in pea-sized pieces. Add six tablespoons of the water and try to gather the dough together. If it’s too dry, add more water until you can gather the dough into a ball and there are no dry bits of flour. Wrap the dough in plastic wrap and flatten it into a 3/4-inch thick disk, and refrigerate for up to 2 days, or put it in the freezer for up to an hour if you’re going to make the pie immediately. Preheat oven to 450 degrees, and line two baking sheets with parchment. Wash peaches, cut in half, remove pits, and cut each half into 4 wedges. (Note: I peeled mine.) Put sugar, cornstarch, cinnamon, lemon juice and zest and salt into a medium bowl and whisk to combine. Add peaches, stir, and let stand for 10 minutes. On a lightly floured surface, roll dough 1/8 to 1/4 inch thick. Cut six 6-inch circles from the dough. If you need to, gather and re-roll scraps to make the six circles. Put three circles on each baking sheet. Sprinkle the dough circles lightly with sugar, then distribute the peach filling on the circles – about 6 slices on each circle, leaving a 1 1/2 border of dough around the fruit. Fold the dough border up over the filling. Bake for 14 minutes, rotate the pans, then lower the heat to 350 and bake 11-14 minutes longer, until the crust is brown and the filling is bubbling. Put the finished pies on a wire rack to cool a bit. They can be served warm or cool. Combine milk and cream in a saucepan and add about half the sugar. Bring to a boil over medium heat, then remove pan from heat and set aside. In another saucepan, melt butter over low heat, then increase heat to medium. When the milk solids at the bottom of the pan turn brown and the butter smells nutty, remove the pan from the heat, add the lemon juice, and transfer to a bowl to cool. In a large bowl, whisk the egg yolks with the remaining sugar and salt until light in color and thick. Add the cooled brown butter slowly whisking vigorously so the mixture is emulsified. Then slowly whisk in the cream/milk mixture. Pour the mixture into a clean pan and cook over medium heat, stirring constantly, until the mixture thickens and coats the back of a spoon. Strain the mixture into bowl and cool quickly by placing the bowl into a larger bowl filled with ice water. Stir the mixture often while cooling. When it is completely cool, cover and refrigerate overnight. The next day, churn the mixture in an ice cream machine following the manufacturer’s instructions. After this article was published, a friend of mine commented that she was a big fan of butter, and the she tried the ice cream recipe and it was the best she'd ever made.